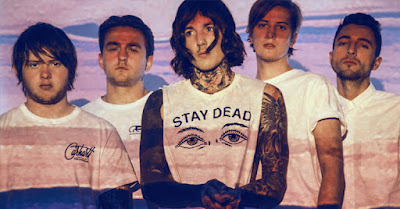 MetalRockNews: Bring Me The Horizon on tour with Justin Bieber? Bring Me The Horizon on tour with Justin Bieber? Bring Me The Horizon's Oli Sykes posted a Justin Bieber tour poster with BMTH listed as support. Probably however, it's a fake, since the poster uses BMTH's old logo. Below the post.